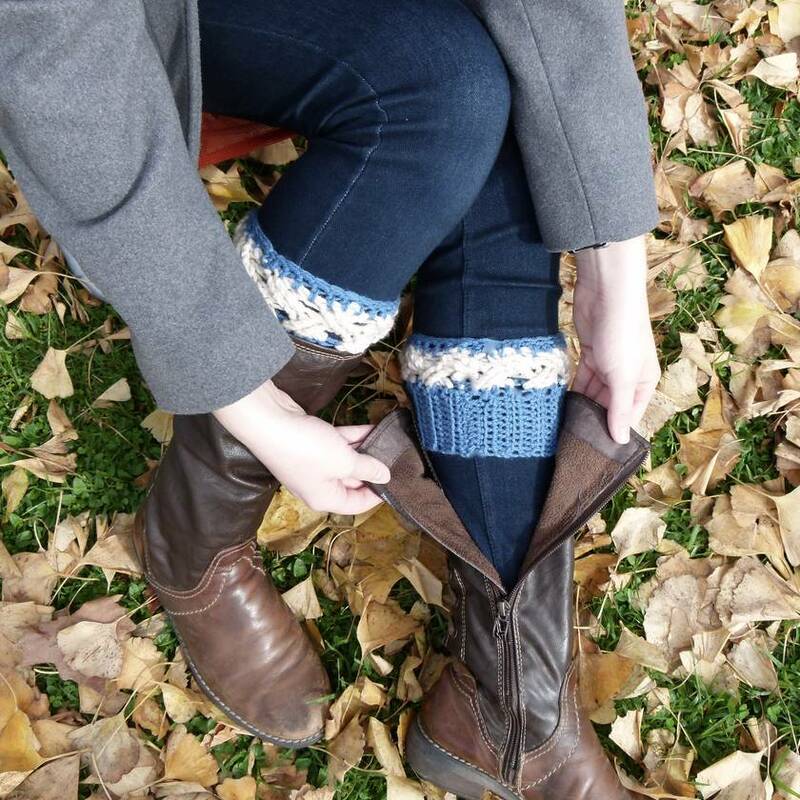 As the weather turns cooler it’s time to say farewell to your jandels and hello to your boots. 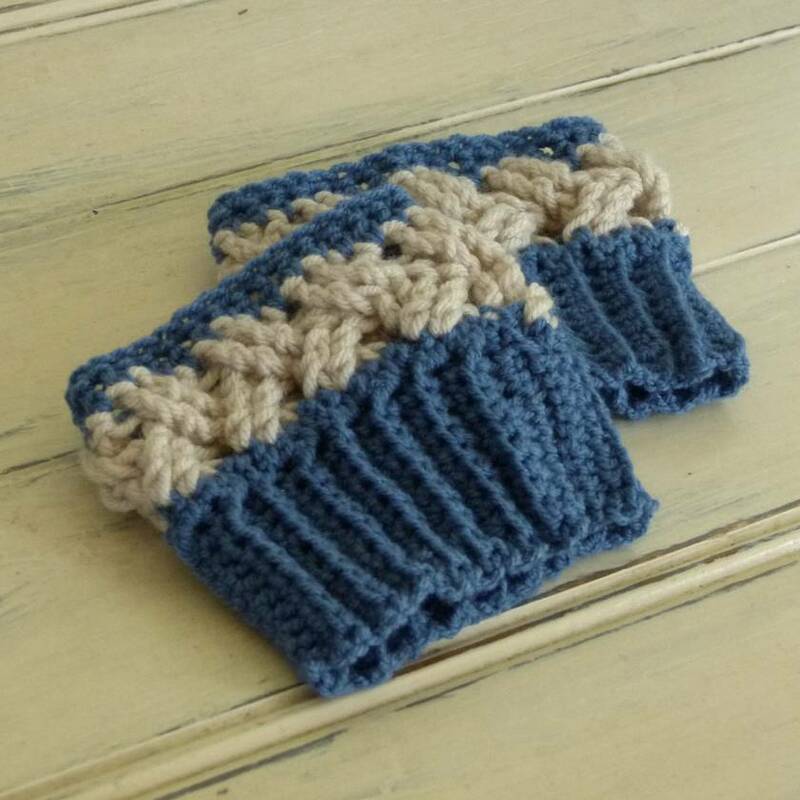 Stay warm 'n cosy throughout this fall and winter, by adding an extra layer of warmth with Boot Cuffs. Pair them up with your favourite jeans/jeggings and boots to add a touch of country femininity and elegance. 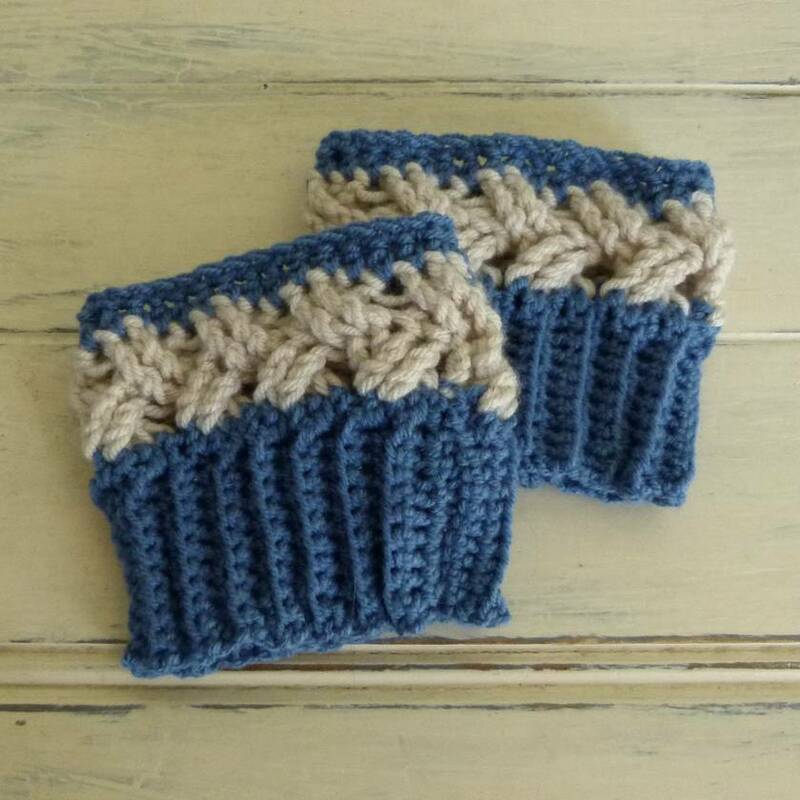 This pair of boot cuffs have been crocheted in blue for the ribbing, while white shows off the Celtic band detailing to perfection. Upon checkout, please leave me a note with the measurements of your calfs. 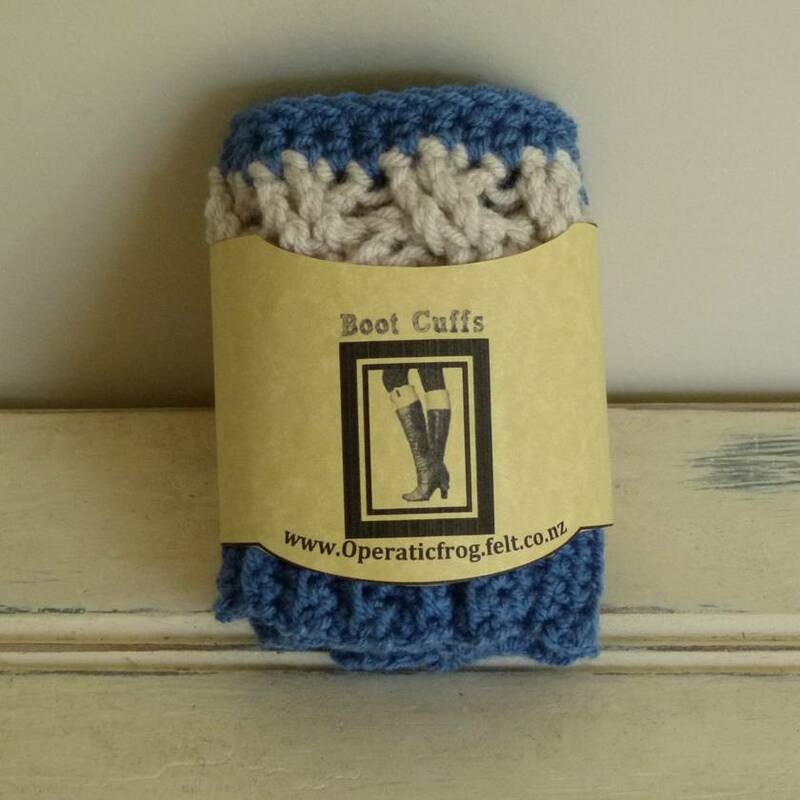 These make a fantastic gift, whether you are sending them locally or overseas, as they are small in size and lightweight.